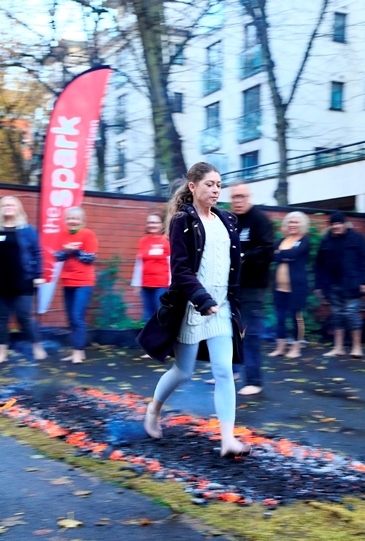 We invited some hardy souls to put feet to flame at our fundraising Fire Walk - the ultimate opportunity to exercise "mind over matter" and raise money for The Spark. 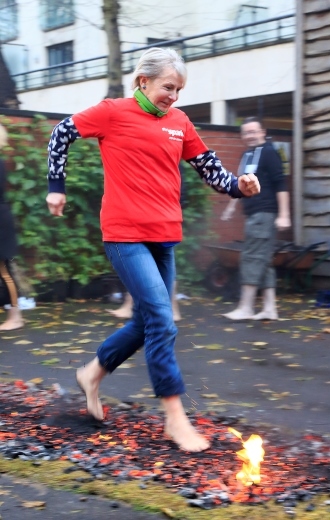 Before they faced the shortest but hottest sponsored walk in the world, they under went an expert motivational training session which prepared them to take on this once in a lifetime fundraising experience. Family and friends came down to LCB Depot to support them too. 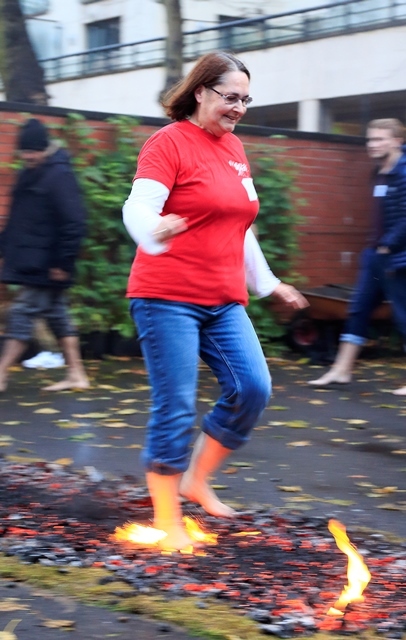 The Fire Walk followed the Easy Saturday Family Day. Thank you to Time4Change for running the event and LCB Depot for hosting us. 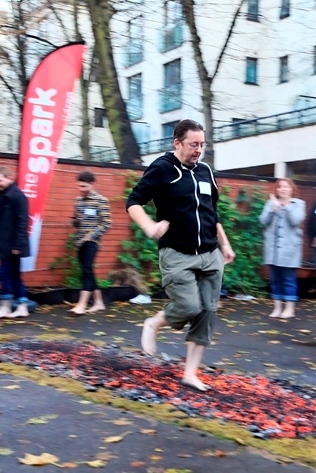 The money raised from this event will help enable The Spark Arts for Children to continue to create unforgettable arts experiences for children aged 0 – 13 in Leicestershire. Gaining access to the Arts is hugely valuable to a child's wellbeing and is crucial for imagination, self-expression and creativity. Our work offers children the opportunity to discover and enjoy the arts as audiences, as learners and as creators of their own art. 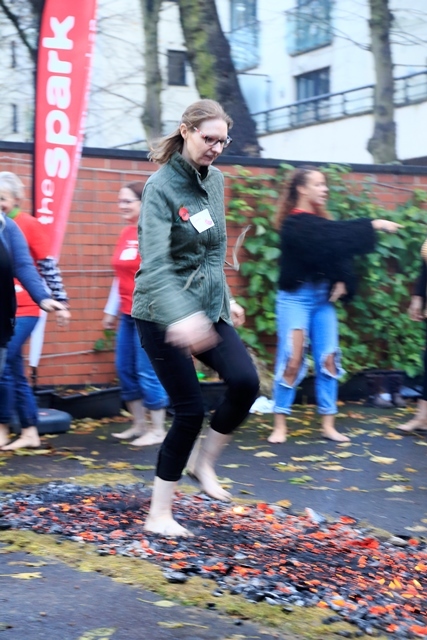 You can donate to support the Fire Walk here at our Just Giving Campaign Page - or look for a Fundraiser you would like to support.